High quality jazz vocalism is a wonderful experience and adds an extra dimension to a jazz night's outing for the joy of any audience. What's more male jazz singers are a rarity not only in Australia but also internationally. Neilsen Gough is doing it beautifully! His voice is like no other - warm, smooth and sweet like honey gold. His emotional depth and delicate handling of the lyric and melody is a testimony for the tradition and beauty of the American standards songbook. Not since Chet Baker has there been a performer capable of evoking such sincerity and subtlety, and the fluidity and warmth of his voice is echoed in his trumpet playing. Neilsen Gough is one of the coolest jazz cats in Australia and music lovers around the world are listening. 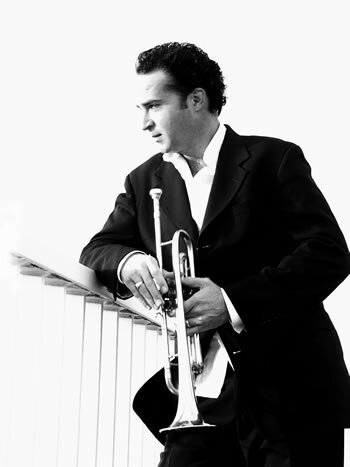 With a truly unique voice, the fluidity and warmth of which are reflected in his highly evocative trumpet playing, Neilsen plays from his new album ‘A Beautiful Dream’ – a collection of original compositions that evoke a similar beauty and melancholy to the music of both Chet Baker and Antonio Carlos Jobim. With subtle bossa nova beats and romantic and lyrical melodies, plus the infusion of some great jazz standards, it’s music that’s both modern and refreshing - at the same time recreating all the style and excitement of a classic era of the hip and the cool. Joining him on stage will be long time artistic collaborators and personal friends - Greg Coffin on piano or James Muller on guitar, Mark Harris on bass and Nic Cecire on drums.